Restore your hair to its original fullness with Joico K-PAK Shampoo to Repair Damage. This shampoo begins the reconstruction process for your hair using a unique cream foundation enriched with Joico’s exclusive Keratin Silicone Complex. 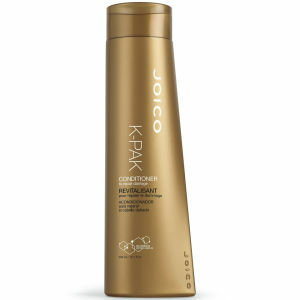 Joico K-PAK Shampoo to Repair Damage cares for your hair, gently cleansing while enriching its elasticity, strength and shine. I have used this shampoo for some time now when i used to buy it from my hairdresser. It helps maintain your colour for longer and keeps your hair in good condition. Had read previous reviews, so ordered to see how good it was. Was not disappointed! Hair felt thicker and in much better condition almost immediately. Definitely recommend this brand. Lovely moisturising shampoo with a lovely smell and leaves hair manageable. Use this shampoo if your hair is bleached/extremely damaged, as it really works! Finally I can say that i found the right products for me. For best results use the reconstuctor and the hydrator along with the shampoo. After two applications my hair felt much softer, less frizzy and fuller (i have very thin hair!). I have used the hydrator for some months now and it's been great but teaming it up with the shampoo has given me amazing results. I have purchased some for my daughter and niece and both are bowled over by the results they have seen. Great product and would highly recommend using the shampoo and hydrator combination. Was sent this product as a sample in a box of goodies purchased through my newspaper. I was so pleased with the results on my dry, curly and colour treated hair that I have now determined to continue using it as a hero product. Brilliant stuff. I loved the shampoo! Hair soft, saturated with silky!